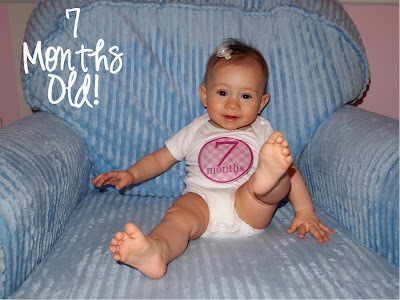 I still am in shock when people ask me how old she is and I have to say, "7 months". It is unreal. These pictures were beyond impossible! The little stinker just wanted to jump out of the chair and into the air! God I love this face. These are a few of our attempts!